Snow socks or winter tyres? Are socks for tyres the latest winter must-have? Snow socks for tyres are being offered as a solution to winter road conditions and an alternative to winter tyres or snow chains. Much of the UK has had snowfall over the weekend, and many roads are suffering with the deteriorating conditions. And to help combat the snow and ice-covered roads, Vauxhall has added tyre snow socks to its official accessory range. What are tyre snow socks? Snow socks are a relatively new technology. As the name suggests, you pull the sock over the wheel and tyre, meaning no additional costs for tyre removal and fitting. 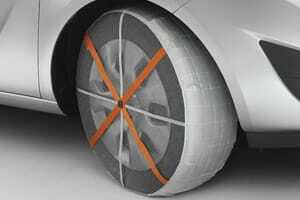 Unlike conventional snow chains, tyre socks have no metal parts. Instead, they are coated with a strong textile surface, which is claimed to optimise grip on the road. As long as there is enough room to fit your hand between the top of the tyre and the wheel arch, you can pull the tyre sock over the tyre fairly easily. You’ll need to move the car forward or back slightly to fit the sock fully over the tyre. Once the tyre sock is on, it will self-centre on its own as you drive. Because there are no metal parts, vibrations and noise are claimed to be relatively low. What should you consider when buying snow socks? 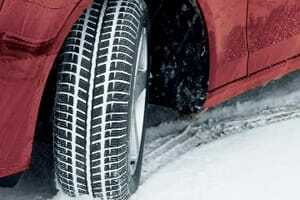 The tyre snow socks Vauxhall is selling are TUV-approved (the German equivalant of the MoT test) and retail from £49.95. But there are a few things to consider first before getting your wallet out. Manufacturers suggest you only use snow socks for vital journeys rather than having them fitted for the entirety of the winter period, as travelling at speed on bare tarmac will destroy them. And although they can be used at speeds of up to 50mph, it is strongly recommended that you do travel slower than this. However, if the conditions are bad enough to warrant using snow socks, we don’t think you’d be travelling above 50mph anyway. Coping with winter conditions has become a bigger issue in recent years following consecutive seasons of heavy snowfall. Winter tyres are now being offered on a wider basis than ever before, with nearly every manufacturer now listing a specific tyre for winter conditions. But the cost of buying winter tyres and having them fitted and removed is high in comparison to snow socks. We believe snow tyres are difficult to justify unless you live in a very remote area. Which? hasn’t tested snow socks yet, but because you only have to fit them to the driven wheels, you only need to buy a pair (unless you have a four-wheel-drive car), making them more cost effective.